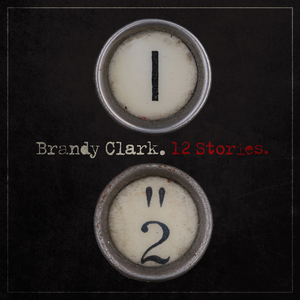 "Brandy Clark’s 12 Stories Is My Favorite Album of 2013"
On Oct. 22, Brandy Clark releases 12 Stories, her full-length debut, on Dallas-based Slate Creek Records. A celebrated songwriter of notable hits including two Country No. 1s (The Band Perry’s "Better Dig Two" and Miranda Lambert’s "Mama’s Broken Heart") and Kacey Musgraves’ "Follow Your Arrow," it’s Clark’s voice that’s front-and-center on this anticipated 12-song collection. Teaming up with producer Dave Brainard (Jerrod Niemann), Brandy used her writing gift and distinctly Country voice to craft a record that has touched everyone lucky enough to hear it. Marty Stuart is a vocal fan, as are Miranda Lambert, Sheryl Crow and Kacey Musgraves. All of them are attracted to Brandy’s unfiltered take on the human experience, its joys and especially its frailties.